This is the only recipe you will ever need to make an assortment of delicious cookies. This one dough does it all with some creative additions and imagination to your favorites! 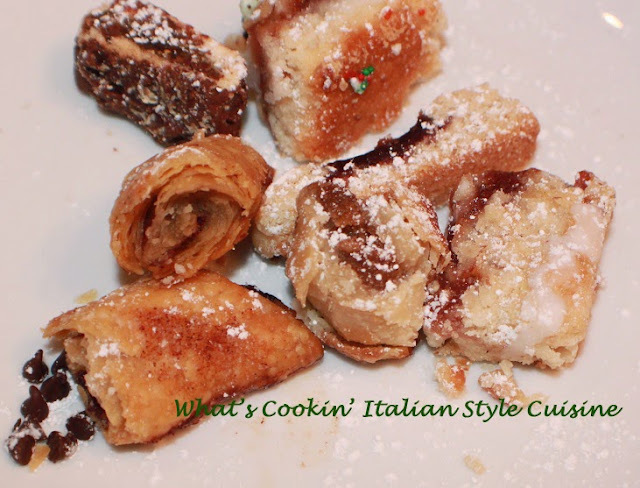 My go to recipe for Italian wedding trays. It's a versatile dough to fill with whatever you like for a great variety and assortment for that upcoming occasion. Anything from fruits to nuts jams, chocolate and more. All the below are shaped cookies whether rolled and filled just in the centers or filled with dough on top. Italian Rolled and Filled Cookies Version 1 this dough is a delicate dough easiest is to roll into balls, indent the middle and fill, more like a shortbread cookie. This is my Favorite Shortbread Variety cookie recipe! When you want an was recipe with a versatile dough this one that is a shortbread flaky cookie is my favorite pick! This Variety Cookie dough is one of the best ways to make all kinds of cookies. Just take a little bit of dough onto a floured board and knead in the flavors. You can roll them into balls and fill them or you can leave them plain with powdered sugar. You can fill the tops with peanut butter, chocolate chips or jelly. So many possibilities with the two versions of dough. 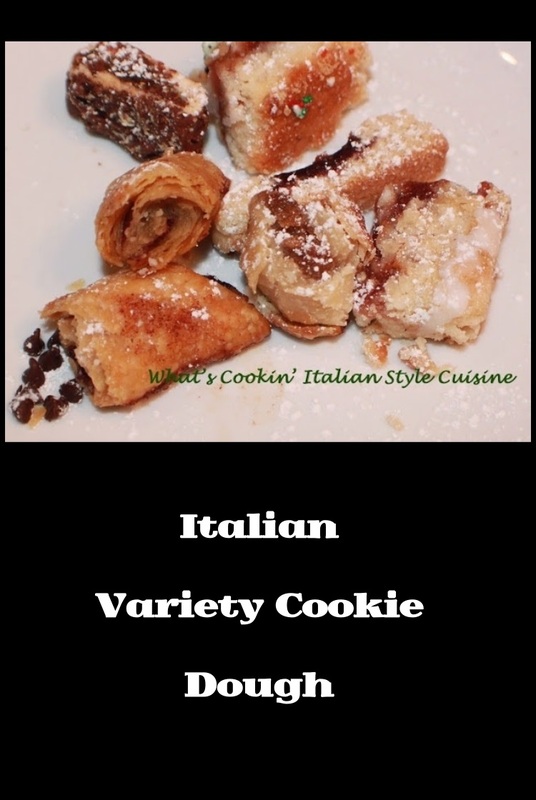 If you want a great assortment, then try this Italian Variety Cookie dough. You can mold, shape and add whatever you like. Mom made this dough for all wedding trays. You can also just frost in various colored frostings for match your event theme. This is one dough that can be shaped and molded into many cookies for a delicious wedding tray or event. Cream butter, shortening and sugar till well blended. Add the eggs, salt and 3 cups of flour. Mix together to form a ball use more if still sticky. Use the other 1/2 cup flour for you board and rolling. On a floured board roll out dough, fill, place another piece of rolled dough on top brush with beaten egg yolks or roll into balls adding a well with your index finger and fill with suggestions below (this is the easiest and quickest way to get all kinds of cookies filled with a variety as there is no required rolling out the dough then slicing) then bake at 350 until light brown around 10 to 12 minutes. Note: Always cool cookies before garnishing with frostings or powdered sugars. Sprinkle tops with cinnamon sugar mixtures, glaze with a blend of powdered sugar and water to make a thick frosting, dip in melted chocolate, roll in walnuts or coconut. Frost and use colorful candies to decorate. You will have to use your imagination on some of these. Sprinkling with powdered sugar is always the easiest after they are cooled or cocoa powder.